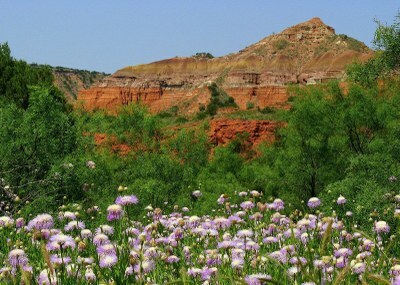 Palo Duro Canyon is the second largest canyon system in the United States. The canyon is about 120 miles long and 20 miles wide, and is up to 800 feet deep. It extends from Canyon to Silverton. You can see the beautiful colors of the four geologic layers as you descend 500 feet to the floor of the canyon. The canyon began forming a million years ago. But the walls of the canyon tell a much older geologic story - about 250 million years old! Watch for rock formations in the canyon with a larger rock balanced atop a smaller base. These are called hoodoos. Hoodoos form when rock layers erode at different rates. The harder rock on top then protects the softer rock underneath. 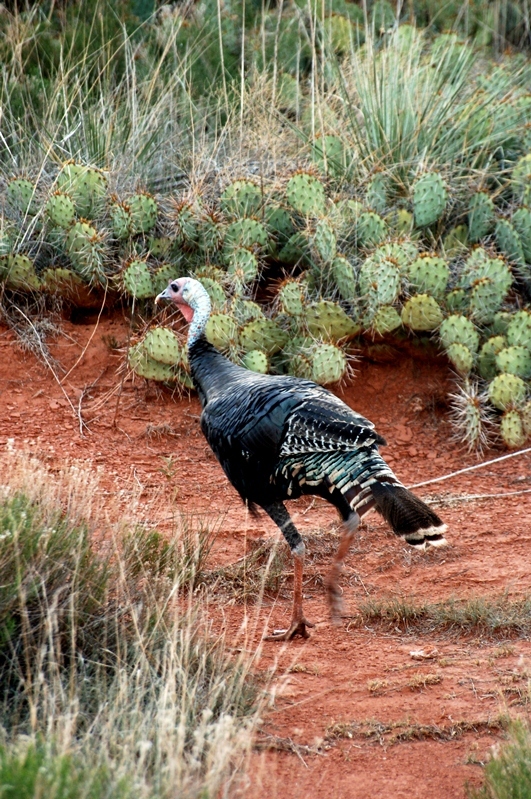 Due to its diverse habitats, Palo Duro Canyon is home to many types of wildlife. Two threatened species live here: the Palo Duro mouse and the Texas horned lizard. Other residents include wild turkeys, white-tailed and mule deer, coyotes, bobcats, roadrunners and many species of snakes and lizards. These varied habitats also offer good bird watching. You will see golden-fronted woodpeckers year round. Mississippi kites, Bullock’s orioles and painted buntings come in the summer. Western meadowlarks and lark sparrows inhabit the grasslands on the rim. Download Birds of Palo Duro Canyon State Park to see a complete list of species found here. Be sure to visit the bird blind behind the Trading Post. Several members of the official State Longhorn Herd live at the park. Look for them on the rim near headquarters. Spaniards brought cattle to Texas in the 1500s; many of them escaped into the wild. Their descendants, known as longhorns, roamed Texas for 200 years. Early settlers rounded up the longhorns, prizing them because they were hardy and could survive on poor pastureland. This little mouse lives in only three Texas counties, with the largest populations in Palo Duro Canyon and Caprock Canyon state parks. 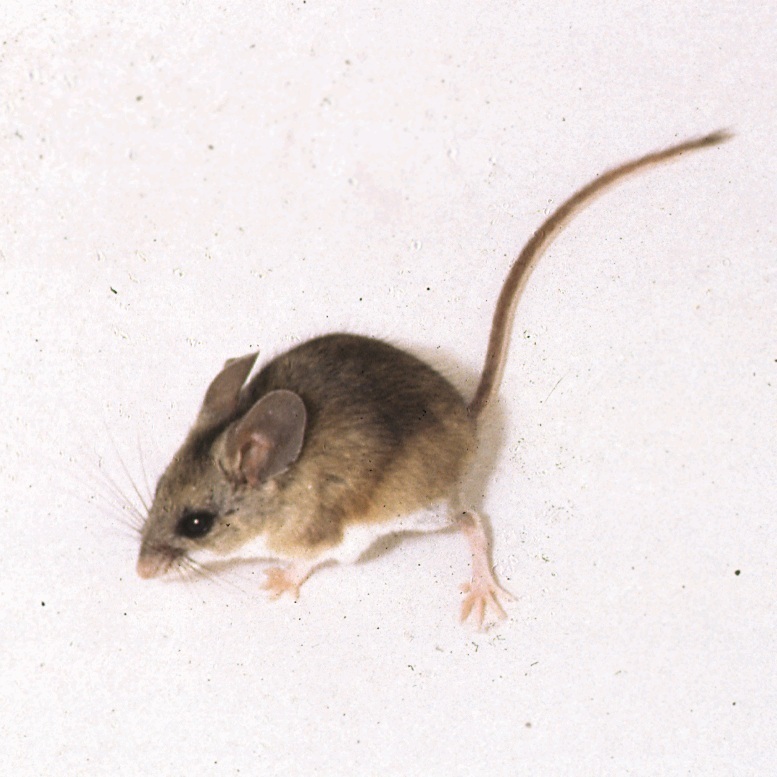 The mouse is about 8 inches long, including its 4-inch tail. Palo Duro mice live in canyon walls; this keeps them safe from many predators – but not rattlesnakes. For the best wildlife viewing in this area, check out the Canyon Loop, one of the Great Texas Wildlife Trails. 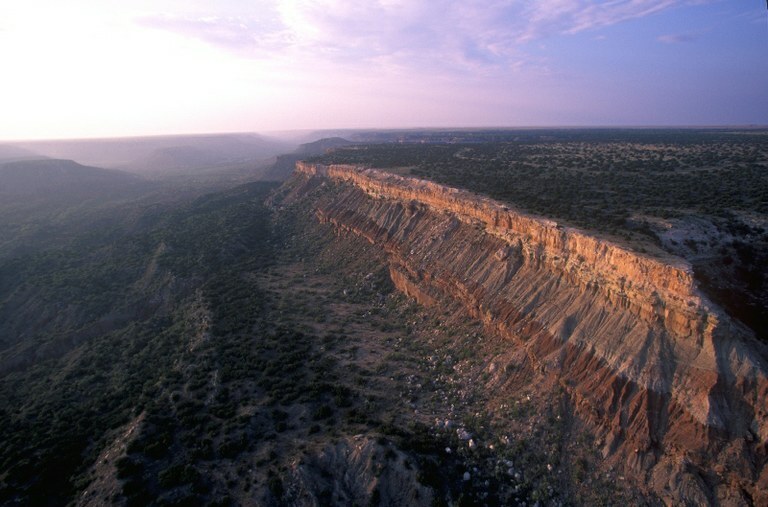 Palo Duro Canyon is on the southern high plains, known as El Llano Estacado or the Staked Plains. 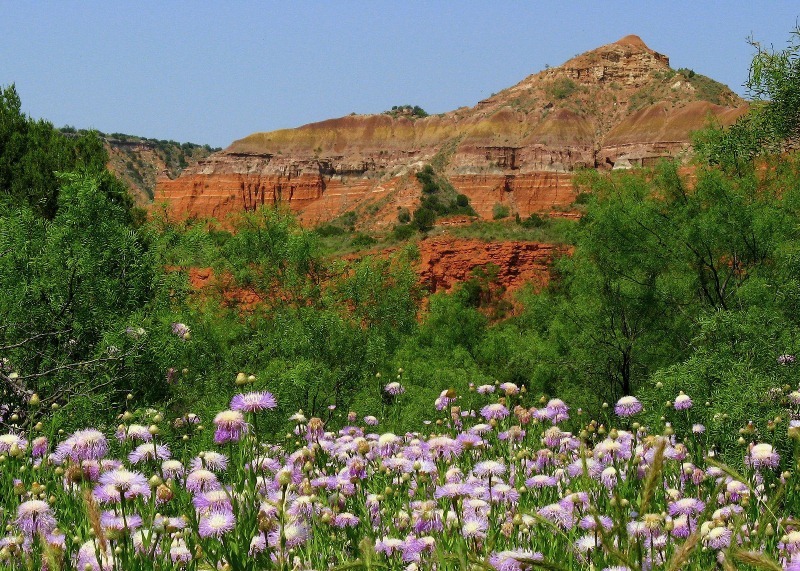 Palo Duro is Spanish for hard wood, referring to the Rocky Mountain junipers in the canyon. The rim of the canyon is part of the shortgrass prairie. The canyon floor supports more types of plants because it is in the river’s flood plain. Besides juniper, other common trees in the canyon include mesquite, cottonwood, willow, western soapberry and hackberry. Wildflowers and grasses dot the canyon floor and wall. Indian blanket, American basket-flower (shown in photo), sunflower, paperflower, blackfoot daisy, tansy aster, sideoats grama, buffalograss, sand sage, yucca and prickly pear cactus are the most common species.